Born: 1775, Chertsey, Surrey, England. Samuel Daniell was an English artist of high repute, who exhibited at the Royal Academy as early as 1792 and 1793. He arrived at the Cape in December 1799 as assistant private secretary to Sir George Yonge, the newly appointed governor of the Cape Colony. In March 1800 he was appointed secretary to Dr William Somerville*, who was sent to Graaff Reinet as assistant resident commissioner. Daniell made some sketches during his stay in the Eastern Cape. From October 1801 to April 1802 he accompanied P.J. Truter* and Somerville on an expedition to the country of the Tlhaping, north of the Orange River, to barter for cattle. He was the expediton's secretary and draughtsman (though he did not write an account of the journey), but also Somerville's friend. The sketches that he made during this time formed the basis of many of his African pictures. After returning from the expedition Daniell stayed for some time with Andrew and Lady Anne Barnard, but unpleasantness arose over copies that Lady Anne made (with his permission) of some of his drawings, which Daniell thought might detract from publication of his work. He returned to England in 1803 and during the following two years, with the help of his older brother William, published a folio of thirty coloured aquatints under the title African scenery and animals. Six of these relate directly to his stay in the Eastern Cape, and 14 more to the expedition. Among the larger mammals illustrated, a picture of the now extinct quagga is of particular interest. After his death another important work, Sketches representing the native tribes, animals and scenery of southern Africa was published (London, 1820). It contained 48 etchings by William Daniell, based on pictures by Samuel. Some of Samuel's pictures also appeared in John Barrow's* Travels into the interior of southern Africa in 1806. His paintings of the physical appearance, attire, and way of life of the local people are of anthropological significance. 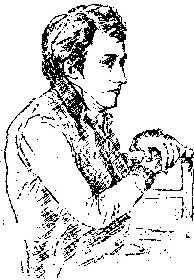 Daniell left England for Ceylon in 1805, and died there six years later. His book A picturesque illustration of the scenery, animals and native inhabitants of the Island of Ceylon was published in London in 1808. The Cape diaries of Lady Anne Barnard, 1799-1800. Cape Town: Van Riebeeck Society, Series II, Vol. 29-30. William Somerville's narrative of his journey to the Eastern Cape frontier and to Lattakoe, 1799-1802. Cape Town: Van Riebeeck Society, Series II, Vol. 10, 1979.